A United Methodist minister is publishing a book of daily Bible devotionals inspired by the verses regularly sent to Hillary Rodham Clinton when she was running for president. The Rev. Bill Shillady, executive director of the New York-based United Methodist City Society, will be releasing the book on Aug. 15. Titled Strong for a Moment Like This: The Daily Devotions of Hillary Rodham Clinton, the book will include 365 of the over 600 devotions as well as a forward by Clinton herself. "Over the course of those 20 months, Shillady — a pastoral friend of Clinton's — and a small team of other pastors provided the Democratic nominee with spiritual support to stay strong through arguably one of the more contentious elections in American history," noted the book's description on Abingdon Press. "The book's devotions are organized into 12 themes, such as forgiveness, doing good, courage, and women. A portion of the proceeds from the book will go to the United Methodist City Society in New York." During the course of the 2016 election, Clinton's Methodist Christian background became a subject on the campaign trail. For example, at a rally in Knoxville, Iowa, in January 2016, Clinton spoke about her Methodist upbringing influencing her to, among other things, be more tolerant of others. "I do believe that in many areas judgment should be left to God, that being more open, tolerant and respectful is part of what makes me humble about my faith," said Clinton. 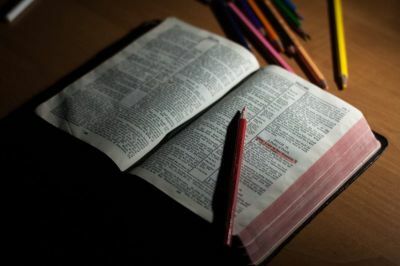 "My study of the Bible, my many conversations with people of faith, has led me to believe the most important commandment is to love the Lord with all your might and to love your neighbor as yourself, and that is what I think we are commanded by Christ to do." Mark Tooley, president of the Institute on Religion & Democracy, has argued that Clinton's convictions are more focused on secular works than religious practice. In an op-ed piece published by The Christian Post in September 2015, Tooley asserted that Clinton's Methodist beliefs were centered more on the "social gospel," which stresses secular improvement of society over evangelism and orthodoxy. 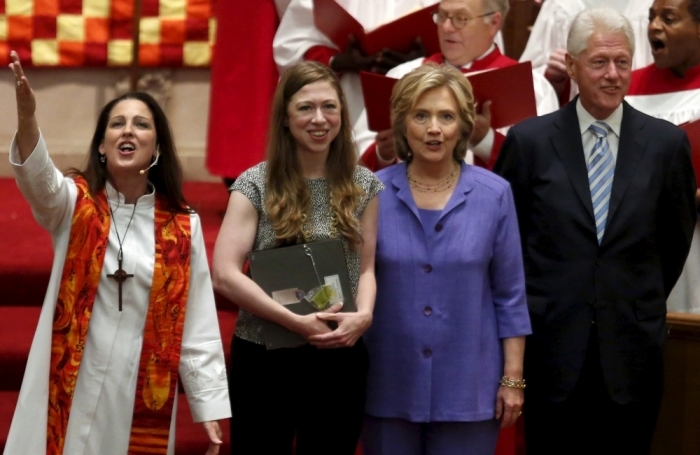 "To my knowledge, Hillary has not been a regular churchgoer since leaving the White House 14 years ago, although daughter Chelsea was married by a Methodist clergy in New York, whose congregation may be a sort of home church for the Clintons," wrote Tooley. "But active church participation is not central for the social gospel, which focuses on transforming society, not saving individual souls."